I had to find out on this one. Decided to stop by on Sunday, 10/06/13. The admission price is $10.00 / day or $25.00 for all 6. Well with one weekend (3 days) down. It still averages out to under $9.00 / day. With a busy weekend, I also figured Sunday afternoon would be a good time. 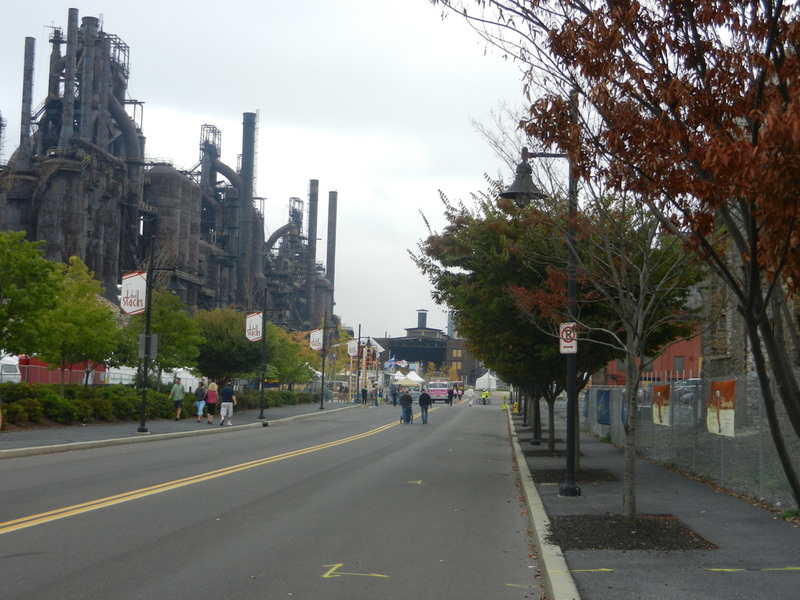 What is Oktoberfest at SteelStacks? It is a 2 weekend (6 day) long celebration of German music / food / beverages / events / music and even arts. People are walking around dressed in costumes you would expect at an Oktober / German festival. I did mention the arts. How about turning a beer barrel into a work of art (Above left)? 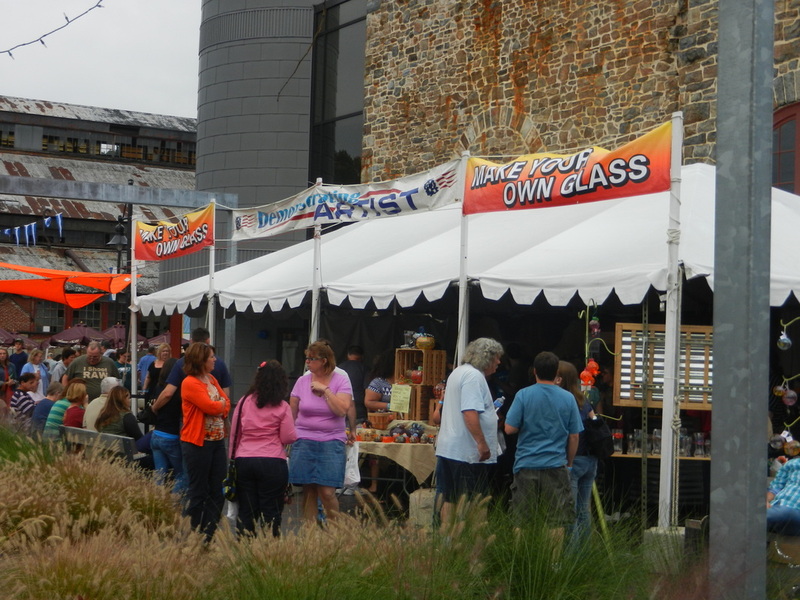 Or try something new with glass making? 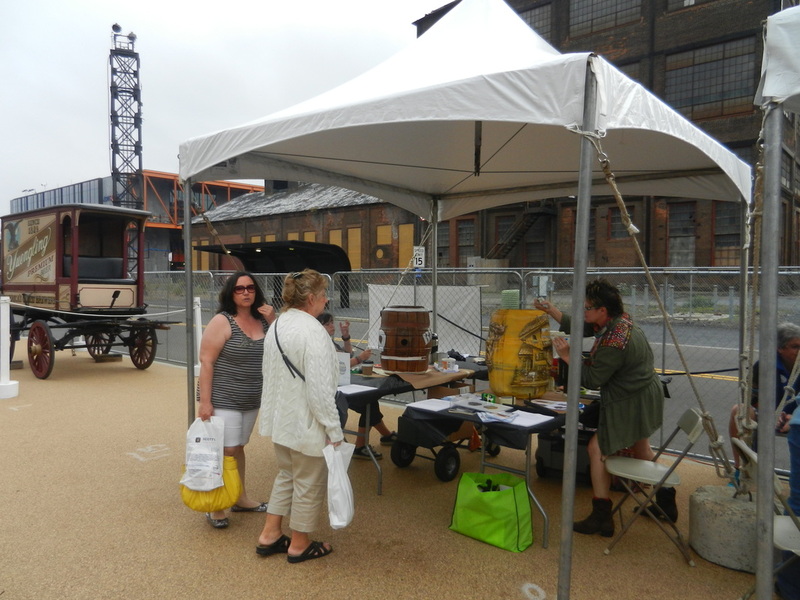 This did add another aspect to the festival and make it a little more traditional. Yes, there was beer and music. Here is a low point for me. Looking at the line-up, I expected to see more German bands and music on stage. There are some including Fritz's Polka band. A majority of the lineup includes Blues, Rock and Pop. This lowers the cultural immersion factor for me. 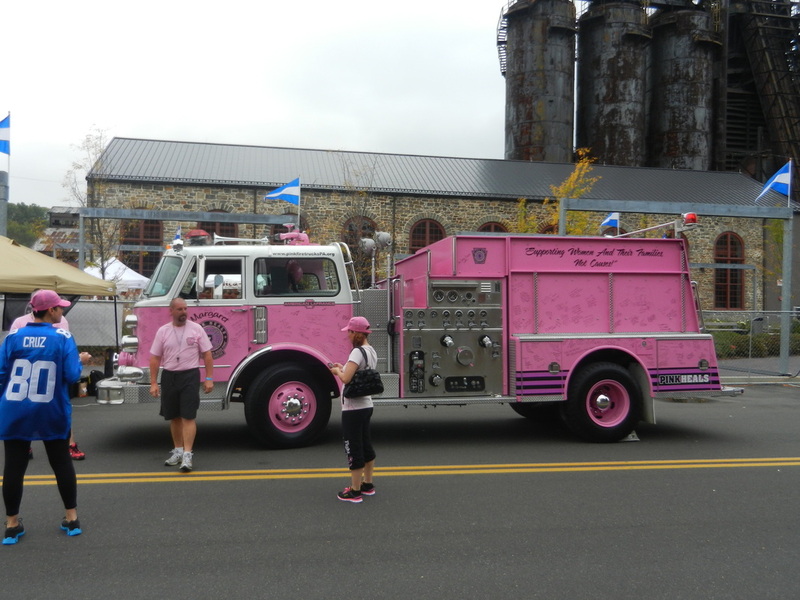 Yes, you do see a pink fire truck here. Outside the festival, for the first weekend: T-shirts, pins and other items were being sold to help the fight against breast cancer. Speaking with the gentleman, they were invited to be here. What you see is the first chapter in the Lehigh Valley. Low points: Lower cultural immersion than expected. 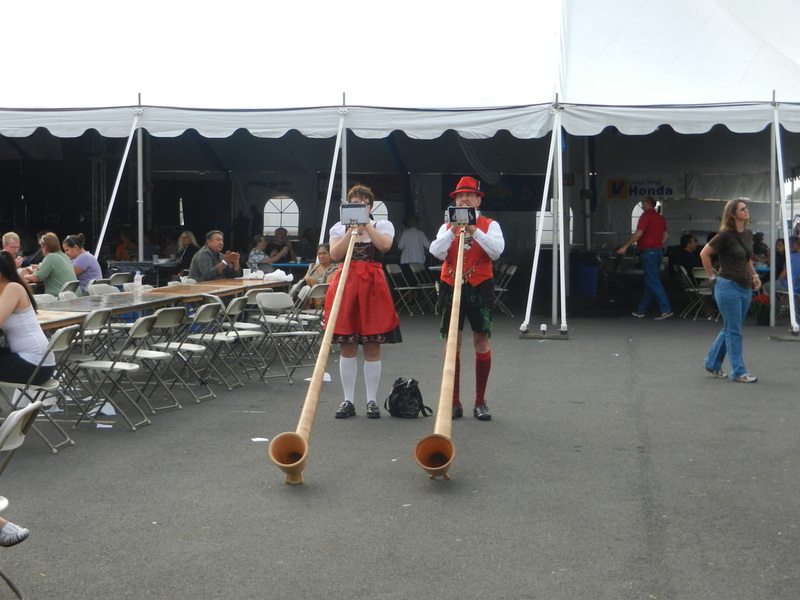 Especially for a Sunday Afternoon, I expected to hear a lot of German music. Also a lot of German Art and culture. Music: Even though the line up is good, unless you are visiting; you can catch most of the bands throughout the year. Fairly high boredom factor: Due to the smaller size of the event, it took me about 20 minutes to walk around. I had to remind myself: "I paid $10.00 to get in here. At least do a few laps and give it a serious shot." High points: The food. 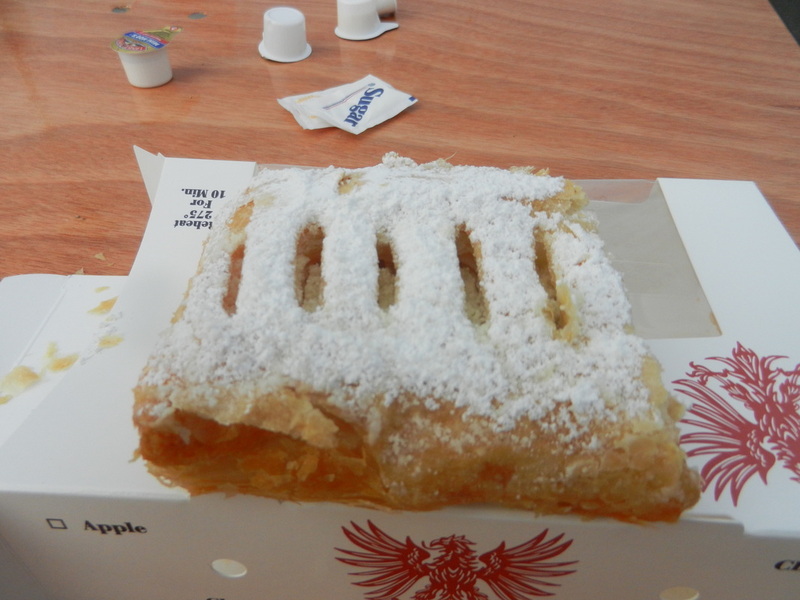 Apple Strudel was incredible! Even though I burned my mouth a few times trying to rush through it. To a point, cultural immersion. People dressed in costumes, the events and horn playing created a mid-level escape point. Honestly, if you purchased all 6 days, yes! Averaging out to under $5.00 / day, the audience participation events (a race with full beverage cups on Sunday), music made it a good value. $10.00 for one day? Not in the slightest! When I arrived, my first thought was "It's a carnival." The first thing I saw was carnival / fair style rides. Walking around, the main event was bingo with a car given away. Like I said, with a majority of music being pop / rock / blues / etc., it's great! If you could not see most of the bands at other events and spend less cash. Including using that $10.00 for food and beverages. After over 1 hour, I left. First thought walking away: "That was a waste of money." To this moment, that thought has not changed. In case you are wondering, the thought was not just me. I talked to several people in the past few days. I have not heard one person say it was worth it. If you have a higher budget or some cash to blow this weekend? 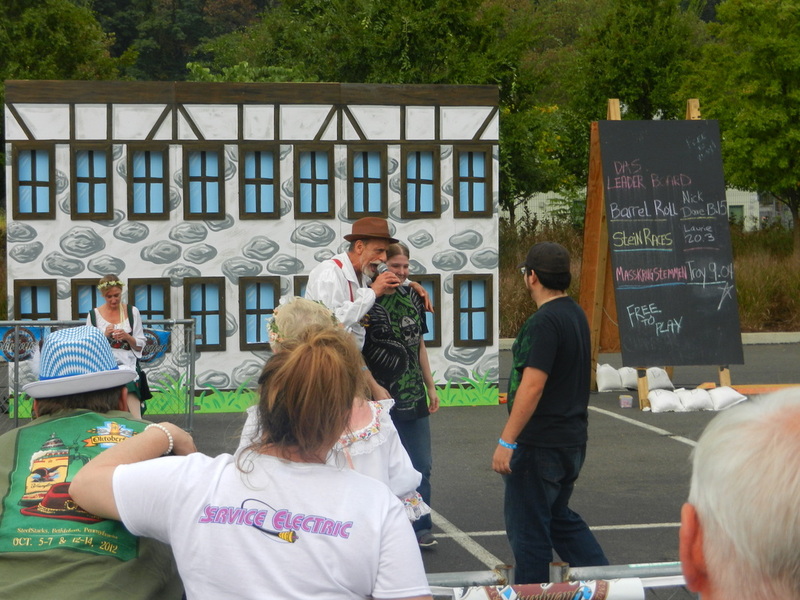 Head over, if nothing else the audience participation events and music will make it worth your time. Lower budget? No extra cash to spend? No!!!! I have to point out, you can find small booklets around the area. These have a buy one / get one free on admission. For two or more people, possibly. 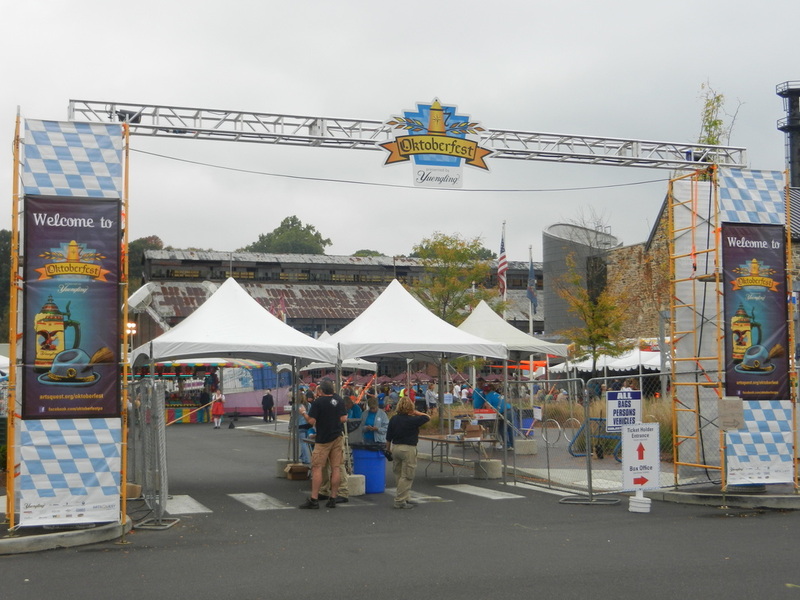 I would suggest placing the Oktoberfest at SteelStacks low to mid-range on your list for this weekend. There are other festivals and events going on that have a lower admission price or are completely free.